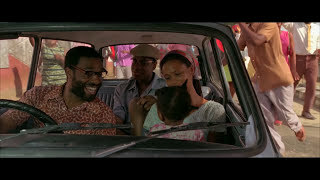 Watch the official trailer for Half of a Yellow Sun African movie, a drama that brings together the lives of four people during the struggle to establish an independent republic in Nigeria. The Caribbean premiere of Half Of A Yellow Sun will take place at the opening night Gala Film of the Trinidad+Tobago film festival 2013 which runs from Sept 13th to Oct 1st this year. The movie stars Chiwetel Ejiofor, Thandie Newton, Anika Noni Rose, Hakeem Kae-Kazim, Genevieve Nnaji, O.C. Ukeje, John Boyega, among others. Wow! such an interesting trailer, beautiful picture quality and a galaxy of stars. This is a must watch movie, wish to see it when it's released in my country. Genevieve looks great, loving her sophisticated "Mrs. Adebayo" character already.